Week 3 of our journey started with a birth. Since our documentation tool will be a command line tool at first, we had to make a gem out of it. So we learned today how to build a gem with the help of Bundler. 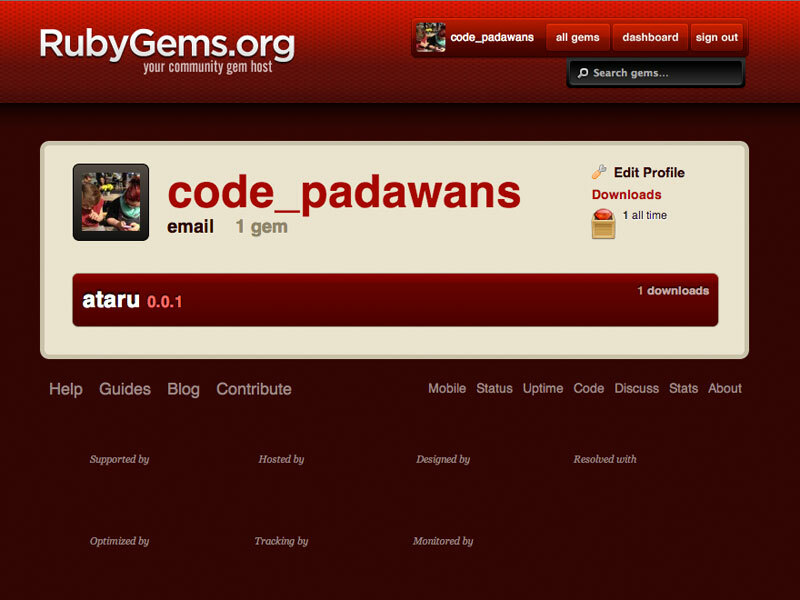 With Bundler (bundle gem your_gemname_here) you get the folder structure and all the needed files for a gem. Nice thing. The biggest problem we had to solve, was that the name we had in mind (jibe) was already taken. So needed to figure out a new one. we need a name for our documentation testing gem. any ideas? Form IV: Ataru, also known as the Way of the Hawk-Bat, or The Aggression Form, was the fourth of the seven forms of lightsaber combat. The history of Ataru stretched back through the Old Republic, to at least as early as the Mandalorian Wars, where it was commonly employed by Jedi of that day. Ataru continued to be a common form among the Jedi in the latter stages of the Republic, and was also known to be employed by the Sith. An aggressive style, Form IV was fast-paced and effective against single opponents, though weaker in prolonged combat and confined spaces. Also, it was not recommended for use against opponents wielding blasters. Ataru was characterized by Force-assisted acrobatics, such as somersaults and leaping strikes, both for attack and defense. Another characteristic of the form was its fast, powerful strikes from multiple directions. Notable users of this combat form during the Old Republic included Yoda and Qui-Gon Jinn. The New Jedi Order preserved knowledge of Ataru and Jedi Masters such as Luke Skywalker, Mara Jade Skywalker, and Kyle Katarn all employed it. We finished the day with a google hangout with two others Rails Girls Summer of Code Teams: Team Participate from Helsinki and Karolina and Magda from Team Species+. It’s cool to talk to other students and see how they work.